The experts at Exceed RC have transformed their successful drift car design into an adrenaline pumping, exciting wheel-spinner sport model for those who love their cars. 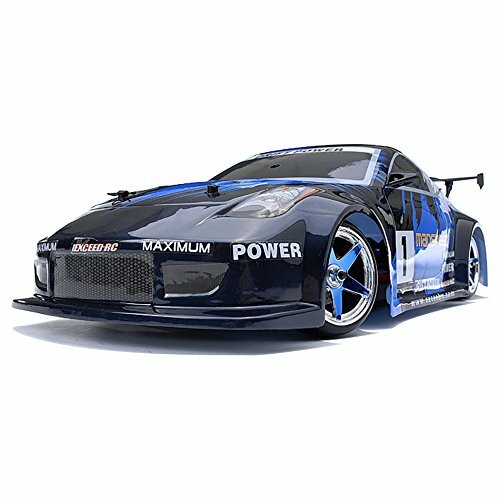 The Exceed RC 2.4Ghz MadSpeed Drift King Edition 1/10 Electric Ready to Run Drift Car is a ready out of the package model from Exceed RC. Perhaps the most distinctive product from the always innovating Team Exceed-RC, Exceed RC 2.4Ghz MadSpeed Drift King Edition 1/10 Electric Ready to Run Drift Car features a long list of impressive improvements and specifications, while its design is pure class with a sporty touch. The unique design maintaining a centralized low center of gravity and a strong, yet lightweight body made from CNC’d Aluminum ensures a car with smooth performance regardless of the type of terrain you are on. Many drift cars available today work only on smooth surfaces. While this one definitely has its advantages when operated on a smooth surface, you can also take it outside for more non-stop action! This RC drift car is certainly setting the standards for a toy vehicle high. Whether a new enthusiast or someone that has long held a passion for RC cars and drift racing, this is a choice that you’ll be glad you made. As far as control is concerned, the 2.4 GHz pistol transmitter Radio control offers a better range and a crispier reflex when it comes to sending/responding to multiple signals simultaneously. This, in turn, improves the overall experience that you will receive with the vehicle, especially while facing multiple corners, a rough terrain or while trying to perform some fancy move. The four wheel drive made of drifting rubber and a shock system made of aluminum with coil-over oil filled mechanism ensures and enriches the smooth performance under tough conditions. The RC car enables endless hours of fun to be enjoyed by boys and girls, men and women, of all ages. powerful cars of this genre. The detailed side-view mirrors, wings and exhaust give the overall body a more sophisticated look as well. 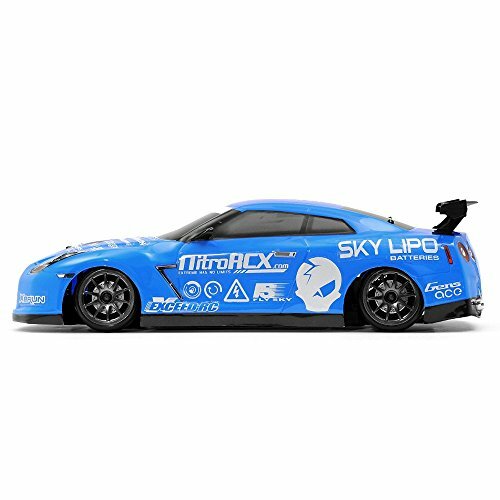 For those who are serious about collecting RC drift cars, this model exceeds expectations. Perhaps the brand was on to something good when they selected the name for their company. The color schemes on the Exceed RC 2.4Ghz MadSpeed Drift King Edition 1/10 Electric Ready to Run Drift Cars is probably the most exciting point of discussion. It comes in a wide variety of color variations which could be categorized under single colors and multi – color variants. The single color variants include pure silver, black, blue and yellow. It gives the cars more of a classy look. The multi-color have a lot of impressive variants and each variant has sported an artistic yet sporty combination of two colors in every piece. In addition there are additional design works and inscriptions on the body that makes Exceed RC 2.4Ghz MadSpeed Drift King Edition 1/10 Electric Ready to Run Drift Cars perhaps the coolest looking of its sort out there. This drift car has so much for you to love, and few things to hate. It is one of the best additions you can make to your collection. 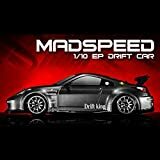 Impressiveness of the Exceed MadSpeed RC drift car exceeds limits for anyone who enjoys RC cars! 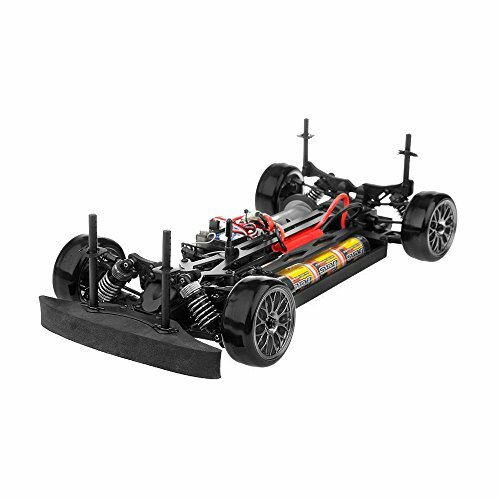 Anyone who purchases this RC drift car will be thrilled with the endless possibilities of playtime fun, the gorgeous body of the car, the durability of the machine, as well as the many available upgrades. Available at many different outlets, purchasing at Amazon will enable you to receive the drift car at a great price while enjoying other perks as well. This includes free shipping. This is definitely a drift car that you need to add to your collection if you are searching for an awesome RC drift car with plenty of awesome features to go along with it!